He’s the founding member and the main composer of the band. 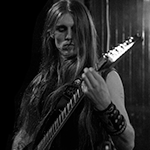 Highly influenced by the 90’s, he always tries to write the finest riffs, combining aggressiveness, speed and melody. He’s involved in the Belgian metal scene since 1993 and played in several bands (Moribund, Ex Delirium and other projects). Quite unsociable and withdrawn, this black metal disciple since 1996 only participated in one black/doom project in Brussels before joining Zardens. He writes all the lyrics, exploring his obsession with death, perversity and suffering and the darkest side of human nature. 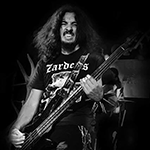 He played in several metal bands in his hometown of Verviers. He now composes for Zardens, bringing a darker touch to the new songs. 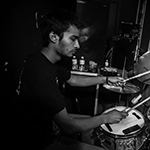 He’s also involved in the promotion of the band and he organises concerts for Zardens and many other bands with The Nameless Squad. He is fully dedicated and composes for Zardens. He brings a touch of groove in Zardens music and his bass crack like a whip on stage. He also plays in the several other bands : Do or Die, Silence is the enemy. He brings a great feeling and groove for the next third album. SOLD OUT, no more CD copies!!! Rotting Hill - 8/10 Rotting Hill - INTERVIEW HERE!! Voice from the dark side - ?/? Belgian Metal Underground - ?/? Pavillon666 - 7/10 Pavillon666 - INTERVIEW HERE!! Shoot me Again - ?/? If you want hi res pictures or their services contact them! 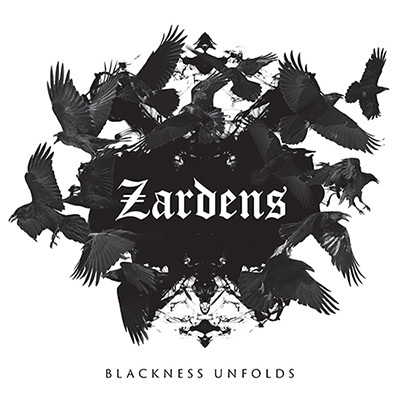 ZARDENS IS A BLACKENED DEATH METAL BAND. 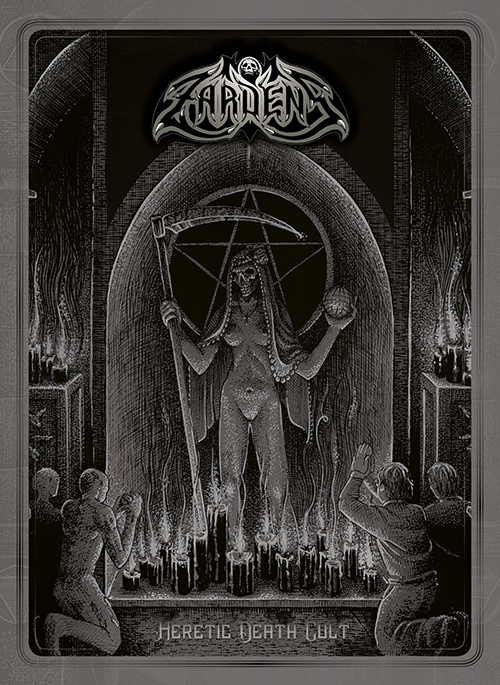 Active on the Belgian metal scene since 1996 with Moribund (black metal) and, later, Ex Delirium (thrash), Warnacht created Zardens in 2008 with the desire to play blackened death metal representing a synthesis of his old school metal influences, mainly Scandinavian bands of the 90s. 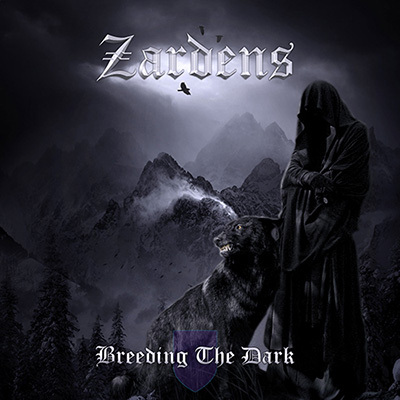 Zardens released a first album, ‘’Breeding The Dark’’, in 2012 and recorded a second album the following year. But the other three members left the band soon after. “Blackness Unfolds” was released in april 2015. 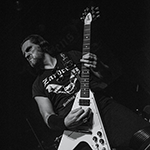 During the summer of 2014, Dimitri (bass) and Morholt (vocals) joined Zardens; Flocky (rhythm guitar; also playing in Absolutus) and Léo (drums; Do Or Die, ex-Komah) completed the team later. 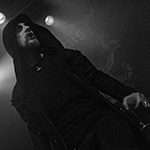 Motivated and united, the new line-up gave the band a new impetus and shared the stage with bands such as Inquisition, Hate, Wiegedood, Vortex of End, Dunkelnacht, Saor and Slaughter Messiah. 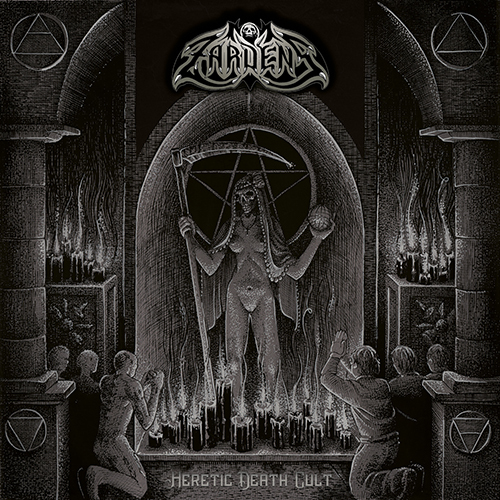 Zardens is proud to present its third album, "Heretic Death Cult",developing a darker atmosphere, with aggressive yet still melodic riffs and more elaborate lyrics exploring the darkest side of human nature. As the band wanted a solid sound to highlight the quality of the new songs, “Heretic Death Cult’’ was recorded and mixed at Blackout Studio, in Brussels, where great bands like Emptiness, Enthroned, Possession, Evil Invaders and many more have already recorded.